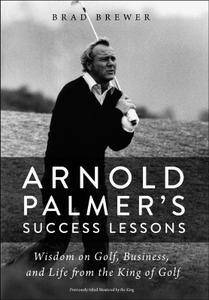 Arnold Palmer taught world-class pro golf instructor Brad Brewer how to play golf. But that was just the beginning. For more than 30 years, Palmer taught Brad how to live. As a businessman, a father, a celebrity, a philanthropist, and a friend, Palmer showed those around him that true success has nothing to do with the final score—and everything to do with how you play the game. Taking us from Palmer’s childhood to his last years back in his own hometown, Brad introduces us to the Arnold Palmer behind the trophies, the celebrity, and the fame. This was the man who changed lives simply by living well, a man loved and respected not only for what he did but for who he was.